New outfit! Two weeks ago I went to utrecht for an open day and after me and my mom went to the city for some shopping and discovering the city a little. Utrecht is such a lovely city, moving out and living there seems so lovely. We walked past this beautiful old street, and we thought why not take some outfit pictures here! That day I just put on something simple because I was not planning to shoot a little. But I was wearing my new Pull&Bear dress, and the photographs turned out very well! I've put this dress on a whishlist a while ago and I've bought it, it is so comfortable and simple yet, still a lovely dress. Twomorrow I'm going to another open day in Utrecht: Art and Economics. I still have to figure out what I'm going to study next year. It is really hard to choose something what you have to do for the rest of your life. And thereby, I don't know what I want to do or what I want to be in the future, hihi, so I'm just looking for a study what I like. If you do something you like it'll be okay I think, and then 'later' will come later. What do you study? (I'm very curious maybe I find new studies or maybe you do what I want). And what do you think about this outfit? Echt zo'n leuk jurkje! :) Ik vind je zonnebril ook gaaf. Die zonnebril is echt heel erg leuk! Wauw, wat een mooie foto's en een gaaf jurkje! Hij is echt heel lief, net als het steegje (?) waar je de foto's hebt gemaakt! Super mooi! 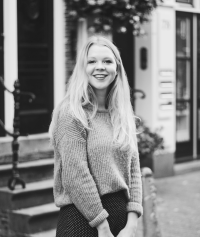 Foto's zijn inderdaad heel mooi geworden, ik hou van utrecht en van de pull and bear!